So proud of you Mckenna. These are the things that make me so fortunate to be in my trade. You represent what Team Prep USA stands for and the Team Prep Fam is so proud of you! This original article appeared on Lawrence Journal-World. To see the full article, please click here. 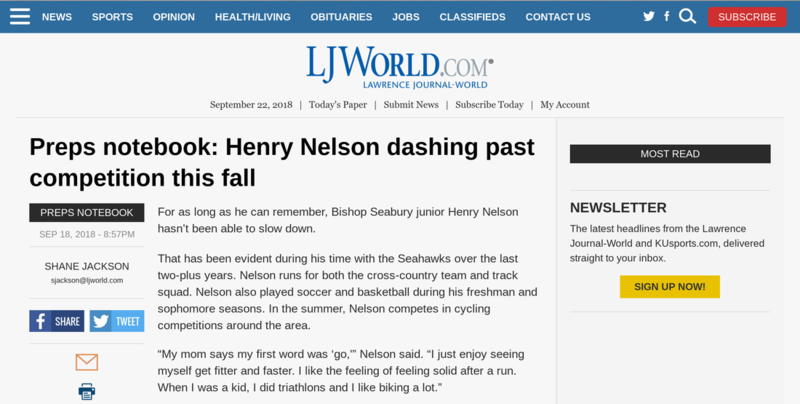 Nelson has run circles around the competition through the early part of the cross-country season with two first-place finishes and one runner-up. At the Joe Schrag Invitational, Nelson notched his first win of the season in a field loaded with big-school athletes. Nelson won the event, which featured athletes from seven 6A and 5A schools, with a time of 16:30. Nelson then netted first at the Wellsville Invite this past weekend. Nelson plans to run at Rim Rock Farm this weekend, which will be another event filled with quality runners. Preps Notebook is a new feature from Journal-World high school sports reporter Shane Jackson that will run several times a week and highlight results and other information about local teams. For more on this new coverage plan, please read Shane’s introduction here. Read the full article at LJW.com here. It has come to the point that when ever Glenbard West’s Katelynne Hart steps onto the track, something special happens. It happened again on a 65-degree evening on the Arcadia High School track in the suburbs of Los Angeles. Hart is only a sophomore but does not race like her age. In crossing the finish line in winning the Girls Invitational 3200 Meter Run in the second fastest time ever for an Illinois Girls athlete (10:02.56). 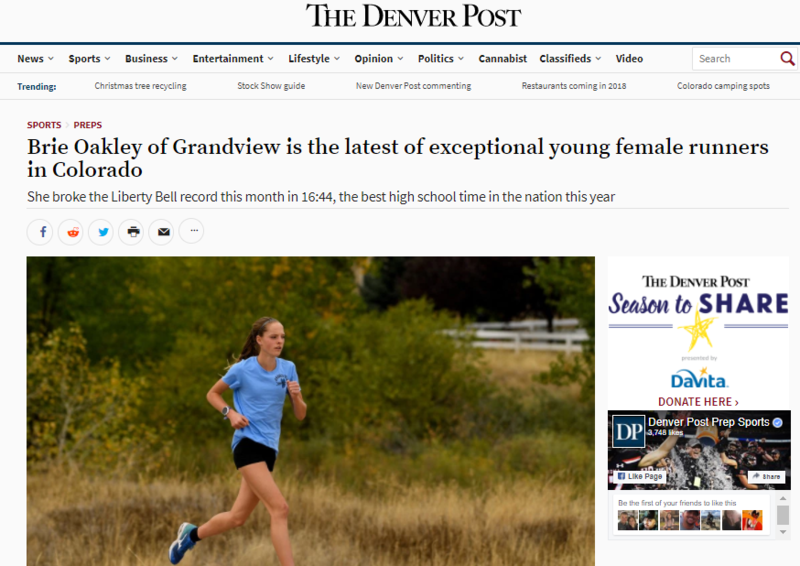 Only Kayla Beattie and the 9:56.96 that she ran at the 2011 Girls State Championships is faster. After Saturday’s race, Hart will have her sights on that time. She has more than two years to cut six more seconds off her new personal best. It was no surprise that Hart took the lead as soon as the gun went off. Corie Smith of Buchanan High School (CA), another sophomore, was the only runner that stayed with the Illinois runner after the first two laps. Smith is not your average runner. She won the California D1 State Championships in the fall. Then again, Hart is not your average runner either. Hart went through 1600-meters in a blazing 5:00.1 suddenly moving away from Smith gaining five seconds in the next 400-meters. Hart as a freshman would stick at running 78-79 laps in the middle of the race. It’s a year later. She has more confidence in her talent. She has more desire not to et anyone finish ahead of her. Her slowest lap was her seventh circuit around the track in 76.7. She responded with a 72.9 final lap. Even though Maria Castillo of Saugus (CA) was closing the gap in the final two laps, Hart at times in this race had a 13 second lead. Castillo finished in 10:09.12 but it seemed like she was light years behind. She did just that coming back to run 5:02.4 in her final four laps. Just another special race from the kid from Glenbard West. I’m sure we will be saying that the next time she steps to the starting line. 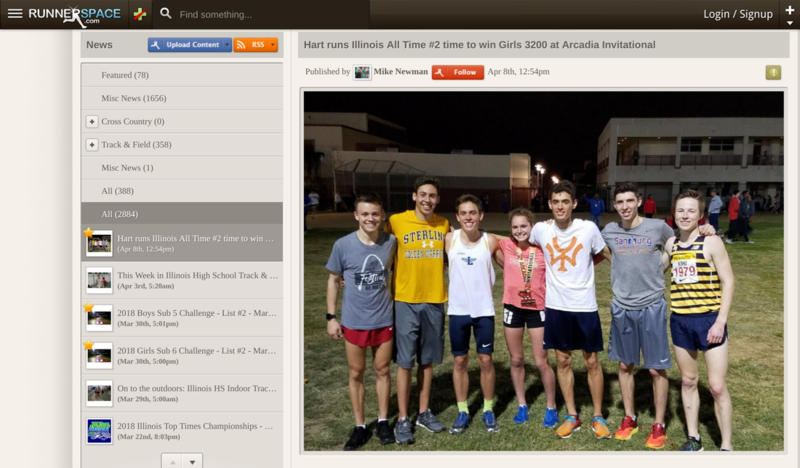 Sophomore Katelynne Hart of Glenbard West IL won the girls 3,200 meters at the 51st annual Arcadia Invitational as she clocked 10:02.56, the fastest time in the country and the fourth fastest in meet history. Brie Oakley was full-time client for 2 years under the tutelage of Coach Sanderson, and accomplished the largest win margin in Nike (NXN) history in 2016. 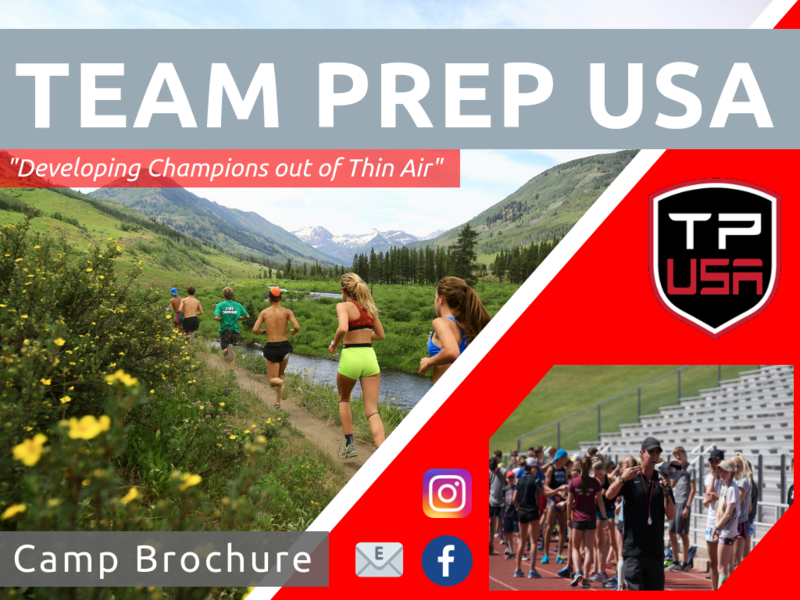 "Over the summer Oakley trained with Trent Sanderson’s Team Prep USA, a program for elite runners based in Crested Butte. Sanderson coached Olympic steeplechase bronze medalist Emma Coburn before she got to the University of Colorado. He says Oakley has great running mechanics and can perform at very high heart rates, but her “grit factor” is exceptional as well. 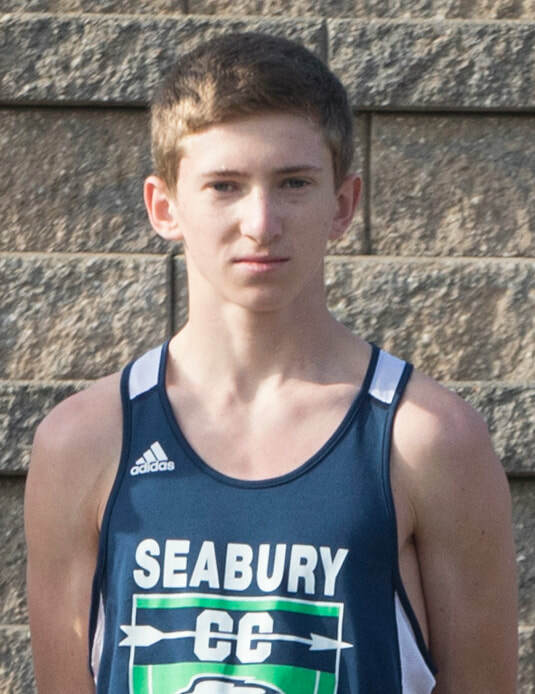 Camper Josef Andrews wins Maine Gatorade Athlete of the Year. View the full article here! View the full article here! Welcome to our media hub. Archives from the past, camper written content, college signings, and more.